If this cat belongs to anyone, let me know! If no one claims her I'm giving her away. Plz share! The City of Minonk is accepting applications for part-time employment as a Clerical Assistant. The City of Minonk is an EOE/AA employer. Full description and application process can be viewed at www.cityofminonk.com. http://www.ilrwa.org/CCR/Minonk.pdf. To speak to someone about this report or request a copy, call (309) 432-2644. I want to thank everyone for the cards, kindness, and well wishes for my retirement. I want to thank the employees of the Minonk Community Bank for my retirement party. Thanks again. The sales are advertised in the following papers: The Woodford County Journal, and the Woodford Star; Streator Times Press; Toluca Star Herald; El Paso Journal. Each and every ad has a date/time of the sale and that the sales are posted on this website for everyone to see. Alvina Ford will be 100!! Alvina Ford was a long time resident of Minonk before relocating to Wisconsin several years ago. She is still interested in Minonk people and happenings. Her highlight of the day is getting her mail. Public Notice: The Public Works Department will be doing nuisance trapping at the walking trail starting April 1, 2018 until further notice. For your pet's safety, please keep them on a leash or do not take them to the walking trail until the traps have been removed. Signs will be posted at the entrance as a reminder for people wanting to walk at the walking trail. I have a 10 month old beagle I will give to someone who is looking for a dog. I will include his kennel. If interested, call me at 309-232-3514. Duane Block Sheila Borton-Yaeck: Dog has been rehomed. The annual Dana Alumni Banquet will be held Saturday May 26 at Capponi's in Toluca. Social hour 5:30, dinner 6:30. $17 per person. All are welcome. 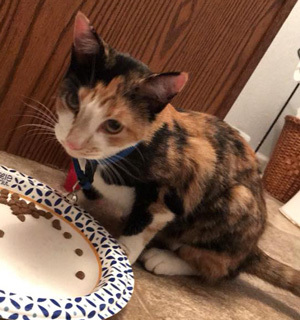 Is anyone missing a small cat with a blue harness? Its been hiding underneath my porch. It's not the person that has already posted something on this site. This is a small cat. The Public Works Department will be FLUSHING FIRE HYDRANTS the week of April 30, 2018. The water may be temporarily discolored, but will be safe for consumption. However, discoloration of clothing during laundry may occur. If your water looks discolored, let it run for a few minutes. There's 1 spot available for 4 pm Sat. April 21st if you'd like to get a 5 person team together to bowl in our Annual 9 Pin Bowling Tourney for St. Jude! Please message Sonja Frei asap to hold the spot. Even if you're not bowling, please come on up to Minonk Lanes tonight or tomorrow from 4 pm til around 9:30 pm to purchase chances for raffles and the 50/50! It all goes to a wonderful cause! Thanks for your support! I was just out for a walk on the nature trail, they are not doing any trapping to relocate anything. The city is trapping to kill. Plus I didn't notice any trap to get rid of the true nuisance, the geese. My question is they are trapping regulated fur bearer animals out of season. Did they get their special permit from DNR, just because it's a city trapping doesn't mean they can break the law. I enjoyed reading your write up this morning, but I think one thing needs to be added. According to statistics from the Peoria Journal Star in regards to Midland school, we can build two small schools on our current properties less expensive and saving our current gyms. There would also be savings to the tax payer than one large school. This is a VERY IMPORTANT thing that needs to be in the article. The headline is a little misleading. Editor reply: There was no intention to imply that it will cost more to build two buildings as compared to one. Thank you for the information. Chad Fallon Edmund Johnson: I heard they are trapping Beaver up there. They are using live traps and relocating them. I've also heard there are a lot of skunks in that town also. If I ever went walking out there I would be worried that they would have a skunk in a beaver in the same trap.